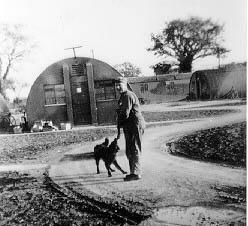 The Second Air Division during World War II was composed of 14 bases located in East Anglia in Great Britain. This "scrapbook" will feature an individual base each quarter, in numerical and in first to last established order. Thus, the focus of this quarter's scrapbook is the 44th Bombardment Group, stationed at Shipdam, Norfolk(off A1075, SE of Shipdam Village). 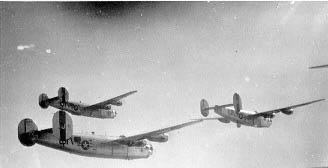 "The 44th was the first USAAF group equipped with the B-24 and in the USA it acted as a training unit for others scheduled to fly the Liberator. Until March 1943 the group was under strength as one of its squadrons was detached in the United States. 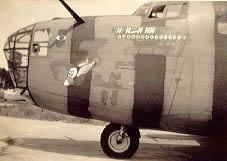 It had the highest Missing in Action loss(153 aircraft) of the 8th AF B-24 groups. 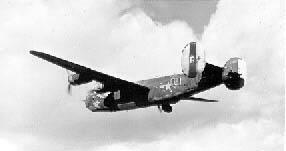 It claimed more enemy fighters(330) than any other 8th AF B-24 group and operated from England longer than any other B-24 group. Its first Distinguished Unit Citation was for Kiel, 14 May 1943. In summer 1943 the 44th moved temporarily to North Africa and among its missions was the epic low-level attack at Ploesti on 1st August when the group commander, Colonel Leon W Johnson won the Medal of Honor and the unit was awarded its second Distinguished Unit Citation. After nearly four weeks back at Shipdham the 44th went to North Africa again--for 15 days. 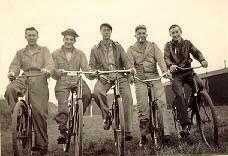 But this was the last detachment and the group then rejoined the growing bomber offensive from England. 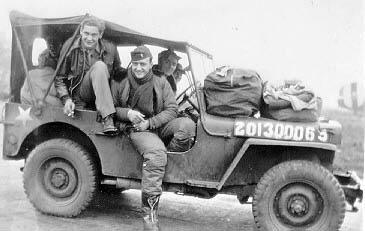 Its total of 343 missions included 18 from North Africa. Information about the individual bases from George H. Fox's 8th Air Force Remembered: an illustrated guide to the memorials, memorabilia and main airfields of the US 8th Air Force in England in WW2(London:ISO Publications, 1991).